Welcome to NorthSide @ the HIVE, your dedicated Barre and Hot Yoga Studio on the north side of town. 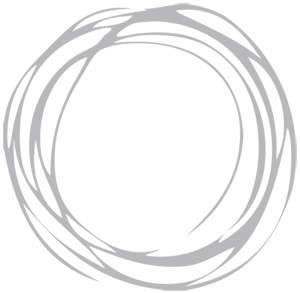 NorthSide is a beautiful, luxurious, eco studio, offering yoga barre, dance barre, fit barre, yoga, yoga sculpt, yin, and core strengthening classes. Some classes are heated some are not just check our class descriptions for details. NorthSide offers before work, after school drop off, after high-school, and after work classes, as well as Saturday mornings. We specialise in Barre & Yoga classes which are individually choreographed by our highly qualified and superbly fabulous instructors. Our Barre classes are flowy, active, fun, stretchy, and strengthening. Yoga Barre classes have a yoga feel and you can expect to practice some grounding yoga moves during class. Dance Barre has a contemporary dance feel so you can enjoy flowing free movements inspired by modern dance, and Fit Barre is fun, active and designed to give your cardio vascular system a kickstart. All our Barre classes follow a similar format and are designed for all levels, with little flavours thrown in of yoga, dance or fitness. Our Yoga classes are also designed for every BODY. We offer slower moving Flow Yoga classes, faster paced and stronger Power Yoga classes, YIN Yoga, and yoga with weights classes - Yoga Sculpt. Modern movement is the theme for our Yoga classes, designed to meet the needs of modern day yogis. We have 6 far-infrared heat panels suspended from our ceiling at NorthSide. Our heat panels are design to help you get the most out of your practice. They shift your metabolism in to top gear helping you burn calories, soften rigid joints, and stretch tight muscles, so leave your practice feeling wonderfully alive and free. Far-infrared is also amazing at penetrating deep inside your cells for an incredible cleanse and detox, your skin feels amazing. It is also the same heat that we receive from the sun (without any of the nasties) so is amazing at helping you feel on top of your game and uplifting your spirits. Not all our classes are heated so check class descriptions, we know some of you prefer to practice in the cool!! 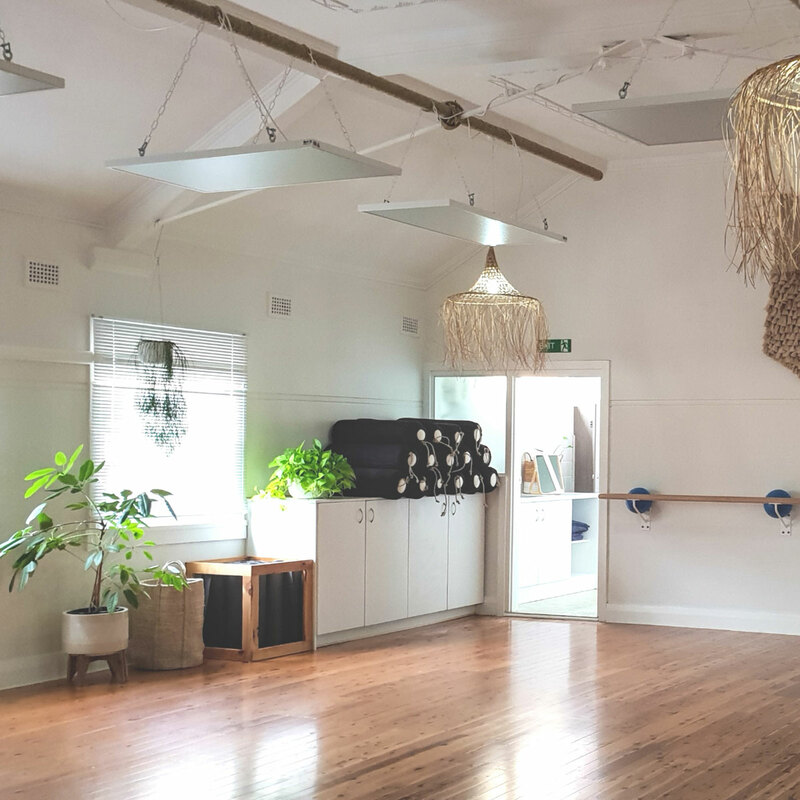 NorthSide is a dedicated Barre & Yoga space, we have bathrooms, and changing areas, lots of natural light, beautiful wooden floors, and the best eco-friendly props to make your practice fun and supported. You may help yourself to delicious Mayde organic teas, or freshly ground coffee before or after your class. More than just an exercise space, NorthSide is a lifestyle experience. A place to come together with besties, meet new humans, have some fun, and move your body in new and grounding ways. Becci has taught various styles of yoga. Her foundation training was in Japanese Okido yoga, and she has also trained with Jimmy Barkan, Duncan Peak & Power Living, Bliss Baby Yoga, FireShaper Hot Yoga, Antigravity Yoga, YogaSculpt Australia, Simon Park Liquid Flow Yoga, Inferno Hot Pilates, and with Barre Body in mat pilates and barre. Dawn Tratt: Yoga teacher, skydiver, martial artist and journalist. Dawn started yoga to heal torn ligaments in her knee training Brazilian Jiu Jitsu. Yoga keeps her centered and reinforces her core belief that the greatest gift to each of us is ourselves. When Dawn isn’t teaching yoga, she works as a skydive camerawoman, grapples with her mates at Gracie Barra Shellharbour, and does media and promotions for stuff she loves. Dawn’s classes integrate her training with Noelle Connolly (Body Mind Life) and Sarah Powers (Insight Yoga), her studies in Psychology, Religious Studies and Journalism, and her experiences of Vipassana mediation, ayahuasca ceremonies in Peru and the dizzying ecstasy of music. Jaz is a regular wanderer, adventure chaser, lover of dance and Kirtan. Jazmine found yoga during the turbulence of her teenage years, in which she was consumed by depression and anxiety. The only place that felt right was the yoga studio, the asana and breath awoke something in her and she quickly fell in love with the practice. The deeper teachings and sense of connection and purpose it provides continued to coax her to the mat day after day. After years of dedicated practice, Jazmine journeyed to India where she trained in Hatha yoga at Tattvaa Yoga Shala. She has an ongoing thirst for expanding her knowledge and understanding of yoga and considers herself as primarily a student. Jazmine’s warm, playful, funny and passionate nature is ever-present in her classes as she provides a fun and challenging environment. She draws inspiration from yogic philosophy, skillfully weaving in alignment, mindfulness and breath with creative sequencing. She encourages students to move beyond their perceived limitations, expect an invitation to delve inward and explore the layers of the self through connected movement. Georgia has a background in dance and a passion for creative expression in the form of movement. Inspired by her sister’s yoga practice, she was initially self-taught before attending her first group class at Yoga Synergy in Sydney. While participating in regular classes she continued to develop her own independent practice and was encouraged by her teachers to become an apprentice under the guidance of Bianca Machliss and Simon Borg-Olivier. Georgia completed her apprenticeship with Yoga Synergy and has subsequently extended her knowledge by training in Vinyasa Yoga. She continues to study, practice and teach with sincerity, light heartedness and a sprinkle of humour. With an understanding that everyone is on their own unique journey, Georgia offers a class that is both challenging and supportive. Discover and experience the balance between effort and ease in your practice. Build strength, power, focus and agility through grace and flexibility. Find your centre and uncover your true self. Kristy has been learning and exploring dance as an art form for over 20 years. Kristy graduated a Bachelor of Dance at the Academy Music and Performing Arts and holds a diploma of classical ballet teaching with British Ballet Organisation. She has performed and choreographed in both film and live performances, creating and appearing in Platform- shorts, Sydney Fringe Festival, independent films, and a former member of Bonnie Curtis Projects. Her unique approach to contemporary dance will allow you to submerge into your primal instincts of movement, tapping into the connection of strength and grace. With her down to earth personality and big smile will make you want to move more often. Marian is a dedicated educator with a rich and diverse experience across the Performing Arts, Dance, Education, Yoga and Fitness Fields. Her area of interest is in combining her experience of yoga, Barre and dance with broader healing modalities such as Reiki and meditation. In Marian’s classes you can expect a combination of dynamic challenging movements, with the opportunity to flow, release and be restored. With her Mission to make movement as enjoyable as possible don’t be surprised if on occasion you’re sweating it out with a flavoursome twist, spanning a variety of genres with anything from disco fever to urban tribal. Marian’s goal, in whatever she is delivering, is to always ensure that the individual is experiencing the very best of themselves in the most holistic way – loving what they can do from the inside-out! Along with her experience performing professionally around the world, Marian has a dance and Education degree. She completed her 200 hr yoga teacher training with Creature Yoga and is a qualified barre instructor through Renee Scott’s, Barre Attack. BODY BARRE A fluid flowing BARRE class designed to move and sweep your body in all directions whilst toning and stretching BARRE style. Use balls, blocks, weights, the barre and your mat in this 60min full body workout. WARM, suitable for all levels. PILATES BARRE A mat and barre class using pilates exercises to build core strength, joint stability and alignment. FIT BARRE A cardio inspired BARRE class to get you moving, toning, stretching and smiling your way through your practice. Follows the BARRE class structure with weights, balls, and blocks plus an added cardio and strength based focus. This class is warm, fun, and for all levels. YOGA BARRE A dynamic yoga inspired BARRE class. 60mins of yoga, toning, stretching, and fluid movement, using balls, blocks, weights, the barre and your mat. Grounding and aligning as you move through barre exercises and transition with yoga flows and breath. Set your intentions, open your body, quieten your mind, & savasana! Warm, and for all levels. INFERNO HOT PILATES A fun energetic pilates based warm class to strengthen you mentally and physically. High intensity low impact, tabata and isometric training on your yoga mat. Be prepared to burn calories build core strength, strengthen mentally, connect with your breath, and have some fun.Great for yogis and athletes, and beginners with stamina!!! YIN Stretch and release, relax and restore. Just a little warm to keep you cosy. A practice for all levels and the perfect class to unwind, focus on breathing and improve your flexibility. FLOW A fluid moving flow class. Longer held asana mean you can focus on alignment, deepen your stretch and slow your breath. An all levels class. Just a little warm to keep you cosy. BIKRAM BEATS The classic 26 postures, 2 breathing exercises with some variety, and funky dance beats. The hottest class at NorthSide at about 32dgs. A great stretch for every BODY. Bring a towel! Bring your yoga mat and drink bottle, and for warm classes a mat towel and hand towel. Wear clothes that breathe and allow you to move easily, and for warm classes active wear that absorbs moisture can be very handy! It is best not to wear makeup or spray strong perfumes, but please use deodorant! We have some mats to borrow at the studio, and supply all the yoga props you will need. We also offer fresh brewed tea, and have cold drinks, and fresh coffee to purchase. We have change spaces and toilets. YOUR FIRST VISIT Please arrive 15mins early to class, doors open 15 mins prior to class. Let the teacher know it is your first class and fill in your registration form. Please advise the teacher if you are nursing an injury or if you are pregnant. Please note pregnant ladies, for both you and your baby’s protection we will ask you to only participate in the non-heated classes. We suggest you book online to save time and guarantee your spot! At The Yoga Hive you can visit on a casual basis or join on a weekly membership. We sell casual classes and packs on 10 and 20 classes. If you buy a class pass it can be shared with someone else of your choice. All passes have expiry dates, so please look at these before you purchase. Passes are non refundable. You are able to pay on line through the MindBody website or app, or you can purchase in the studio. All classes are on a prepay basis... you must purchase a class before you can book.